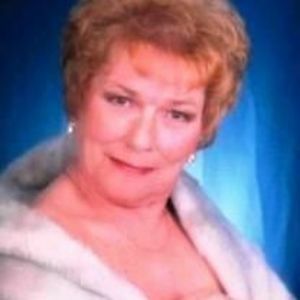 Jean Collier Smith, 74, of Wilson, passed away Wednesday. Funeral services will be conducted 11:00 a.m. Saturday, June 24, 2017, at Thomas-Yelverton Funeral Home, Wilson, NC. Entombment will follow in the Evergreen Memorial Park Mausoleum. The family will receive friends 10:00 – 10:45 a.m. Saturday, prior to the service, at Thomas-Yelverton Funeral Home, 2704 Nash St. N, Wilson, NC. Surviving are: five children, Kathy Cummings, Patricia Fields, Greg Cummings, Jeff Cummings, and Mike Cummings; ten grandchildren; ten great-grandchildren; four great-great-grandchildren; one brother, Donald Ray Collier; and one sister, Lillie Gray Fredette. She was preceded in death by her husband, Glenn W. Smith; parents, Claudie and Lois Pender Collier; and brothers and sisters, Henny Collier, Maggie Brown, Marie Parrish, Tommy Collier, and Rex Collier.